ReeR was founded in 1959 in Italy and has distinguished itself for its strong commitment to innovation and technology. Currently, it is a worldwide reference in the safety automation industry and is a leader in the manufacturing of sensors and safety light curtains. The brand has points of sale spread all over the world and in Portugal, Bresimar is its exclusive representative. 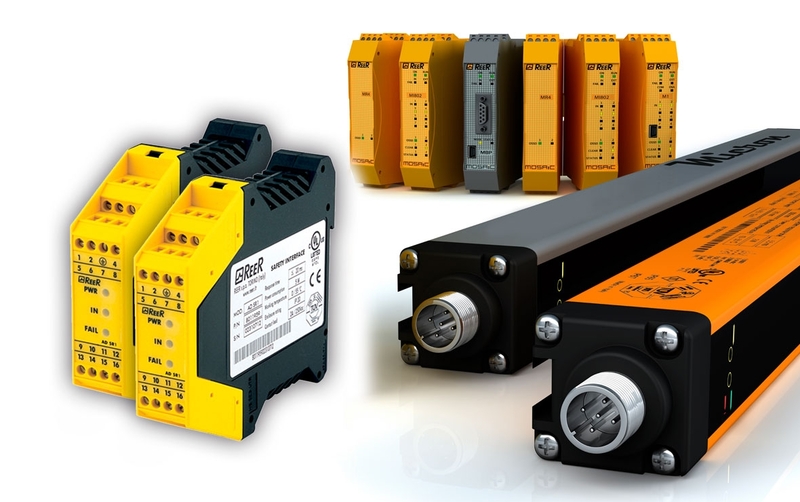 Relative to industrial automation, ReeR offers a diversified portfolio of products. The brand is a good choice if you are looking for products such as: safety light curtains and their respective waterproof IP 69K or IP 67 protections (depending on the model), programmable safety controllers, interfaces and safety relays, laser scanners, and also, sensors, such as: photocells and magnetic sensors. ReeR's safety products are ready to operate in a variety of industries, with features that make them capable of being integrated into environments where water and dust resistance as well as the need for ruggedness are mandatory requirements. Safety light curtains are optical devices, which use one or more light beams to create an intangible controlled area. 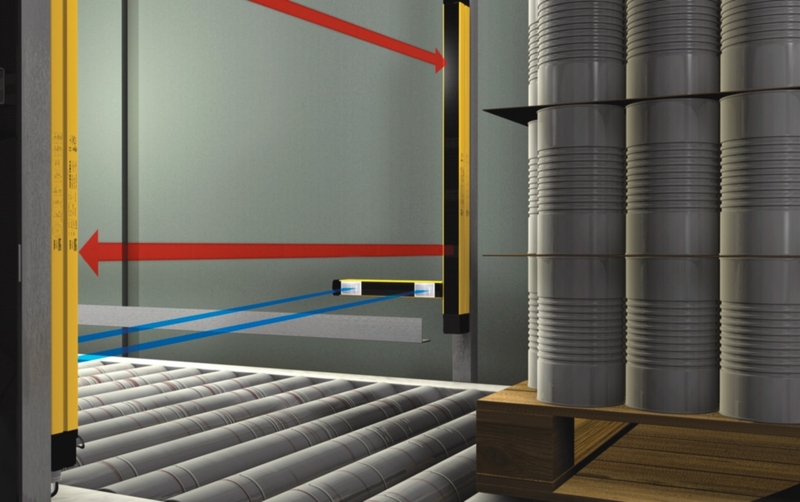 The main features of ReeR's safety light curtains are their safety level, the protected height, the maximum distance between the emitter and the receiver, the response time in interruption situations, and the resolution of the curtain when an object is placed in the controlled area. Optional boxes with all muting functions: lamp, restart and override buttons. Range up to 12 m.
Watertight enclosures enable safety light curtains to be used in more hostile work environments, such as in environments where there is exposure to water and steam. For the EOS4 and EOS2 safety light curtains, ReeR offers versions with and without a heating system and IP 69K protection range. For the safety light curtains in the ADMIRAL and VISION families, there are also versions with and without a heating system; however, the protection range is IP 67. MOSAIC is a modular and configurable safety controller, used to protect machines or installations. By using MOSAIC, it is possible to control several safety sensors and command devices, such as: safety light curtains, safety scanners, photocells, emergency stop, among others. In this way, it is possible to reduce the number of components of a safety control system and facilitate the electrification of the electric switchboards. In addition, MOSAIC is flexible to the point where it is possible to create logical programmes, in an easy and intuitive way, through the MSD software (MOSAIC Safety Designer). This software is free, being included in the acquisition of the controller. The interfaces and safety relays are dedicated equipment which are found between the safety light curtains (for example) and the control circuits of a machine or a particular installation. 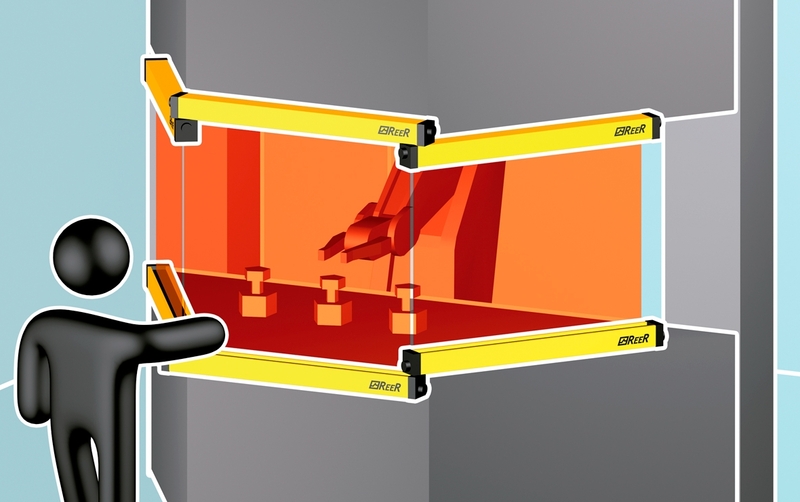 The PHARO safety scanner is a protection device used for the prevention of accidents and for the protection of operators exposed to hazardous situations caused by industrial machines. This equipment can also be used in Automatic Guided Vehicles (AGVs) in order to avoid collisions. The PHARO safety scanner does not require an external control unit, since all safety functions are performed by the equipment itself. In addition, it allows the creation of programmable protected areas of various sizes and shapes, giving it versatility and making it an excellent solution for the most demanding applications. Model MI C: Features two outputs. In the Micron range, communication modules are available which allow connection to the following protocols: Profibus DP, DeviceNET, CANopen, Ethernet, EtherCAT, PROFINET IP, Modbus RTU, Modbus USB, TCP / IP and USB. Contactless safety sensors are used to monitor the position of sliding, hinged or removable devices. Included in this category are MAGNUS MG magnetic safety sensors (compact, rectangular or cylindrical equipment with IP67 protection and a switching distance of 3 to 10mm) and the RFID safety switches of the MAGNUS RFID series (which enable 3 coding levels according to the requirements of each application). Photocells are compact and flexible equipment that can be integrated with other photocells and in small spaces. ILION: Safety photocell type 2, with M18 cylindrical metal body. ULISSE: Safety photocell type 2 with rectangular metal body and M8 connector of 3 poles.